Two of the best horror-sci-fi movies ever made have to be Alien and Aliens. You know, the ones about the space creature that latches onto your head, shoves an egg down your throat that eventually claws out through your chest and becomes a big, blackish-green hunter with acid for blood and a tongue that is yet another mouth with teeth. Yeah, that one. A lot of RPG adventures take place in or near some civilized area. Sometimes, that’s what your players and their characters need: some simple roleplaying with social interaction at the local tavern or inn common room. And sometimes you need a conflict with the local thieves’ guild or a run-in with the town guard. That shouldn’t be the only rabbit in your hat, however. Never discount the joys and thrills that come from sending your players’ characters into the wilderness, a few days travel from any help, and dumping them into the deepest, darkest hole you can imagine. In Alien, the characters first find themselves on a barren rock out in space, with no other living soul around. Then, they find themselves floating through space on their ship. However, the ship now carries not only the characters, but also the horrible monster that wants to eat them for lunch. In Aliens, the characters find themselves back on that same barren space rock. Only this time, there is a colony where people settled, lived and were summarily eaten by the horrible monster’s brothers, sisters and cousins. Oh, yeah. They also find the horrible monster’s even more horrible mother, who becomes quite agitated when the heroine of the movie decides to use a flamethrower on the eggs she worked so hard to lay. If the original crew of the spaceship wasn’t alone so far out in space, there’s a pretty good chance the alien eggs would’ve been found and destroyed a lot sooner, and then there wouldn’t have been a plot for the movie. If they had been closer to help, perhaps near to a military installation, they would’ve been able to destroy the horrible monster, and there wouldn’t have been much of a movie. All these story elements built audience suspense. Those watching Alien begin to feel the heart-wrenching fear of the characters, knowing the alien creature could be waiting around any corner, or above any room in the ship. The audience begins to feel the claustrophobic stale air within the ship, begins to feel their heart race and their mind boil with the urge to scream and tear at the walls in a desperate attempt to get out before the thing finds them and devours them. Same with Aliens. Sure, the setting is an entire planet, but there is no one else around, and they have no idea just how many of those monsters there might be out there. Sure, they have a supply of guns and ammunition to protect themselves from the monsters, but the supply is finite, and there is no Wal-Mart on LV-426. With limited supplies (ammo, rations, spell components! ), it’s only a matter of time before the monsters win. Next time you create an adventure, use isolation to get the characters and their players scared. Make them use up their supplies, or take some of them away as “collateral damage” from an accident. This happens all the time in movies. What’s more terrifying than finding something attached to your head with a tail wrapped around your neck? The alien then shoves a tube down your throat, keeps you in a coma, breathing and alive. No one can figure out what it is doing to you, and no one can think of a way to help you. When they try to remove the thing, it wraps its tail tighter and starts to choke you. If they try to cut it, they discover it has acid for blood. All they can do is sit and wait. Well, there might be something more terrifying. You find out the face-hugger, as it has become known, actually lays an egg inside you. The egg grows and turns into a creature that bursts through your chest, and then runs off, screeching. That new monster grows fast and soon becomes the size of an adult, with long, sharp claws, a mouth filled with razor-sharp teeth, and a tongue also filled with razor-sharp teeth. This new monster goes on a rampage through your spaceship, killing everyone it meets. It is a hunter, a predator, a monster. Of course, this doesn’t matter. You died when it burst through your chest. A lesson to take from Alien and Aliens: sometimes you ought to pick a monster your players (or their characters, at least) aren’t familiar with. And make sure it can cause havoc with them. For a low-level group, a simple troll can sometimes do just fine. The regeneration ability makes them hard to kill. After the characters have fought one or two of these monsters, and have become used to it, change it. Make it bigger, meaner and better. Maybe you make your troll smarter. It is a freak of nature that can read and write, and it now knows a few magic spells – maybe an anti-fire spell (No! Not That!). Another way to go is to look at Aliens. Instead of having one monster turn into another monster, or having one monster become bigger, meaner and harder to kill, just take that same simple monster and add more of them. Suppose your players are playing first level characters. A few goblins are going to be an issue at such a low level. Let the characters get used to fighting a few at a time. Then, enter the whole tribe. Goblin after goblin comes rolling toward the PCs’ camp, way out in the deep wilderness. Another example. A necromancer leads a small group of bandits. When the characters kill a bandit, the necromancer casts a spell and that dead bandit gets back up as a skeleton or zombie and keeps on fighting. Keep players on their toes – and on the edges of their seats – by throwing the unknown at them. Change your monsters often. The main problem the characters had in Alien and Aliens is they couldn’t just outright kill the monsters. Even though they had guns and bullets and such in Aliens, the environment made it difficult to use such equipment. In both movies, the characters had to bust out the trusty flame-thrower to fight off the monsters. Of course, we all know how well that worked out, right? This is an excellent lesson to pull from a classic movie. Perhaps you want to give your monsters acid for blood. Perhaps your main villain possesses a magical ring that reflects the spells of your magic user back at the party. Perhaps every time one of the characters hits the monster, it absorbs that energy and stores it for a super-powered, knockout swing for later. I should make a special note here that this idea is different from giving the monster a special defense or immunity, such as the regeneration of a troll. A special defense or immunity just makes the monster harder to kill, but it can still be done eventually, and the characters have no reason but to keep hacking at the creature until it falls. It is an entirely different matter killing a monster that creates a dangerous situation, maybe not just for the characters but for a village of innocent bystanders, as well. Not only do the players have to think up new ways to deal with the monster, but there could be moral implications that could prove disastrous for the story or the PCs (in terms of rules and penalties). For example, perhaps killing the monster ends in some large cloud of poisonous gas being released over a 100 square yards. Think beyond special attacks and defenses, and give your monsters a terrifying edge that makes players stop and think (and pee their pants a little). Nothing is worse than stories where the main character remains unchanged, especially if several great events take place that would cause the character to learn, grow or change their thinking and beliefs. In Aliens, Ripley finds out one of the crew members is an android. It was an android that caused one of the major problems in the first movie. One that almost caused her death. She jettisoned out into space, not knowing if she would be picked up or not. She just knew she didn’t want to be there at the time. So she wasn’t happy when she found out Bishop was an android. But, by the end of the movie, she came to trust him, even to like him. And let’s not forget about Newt. She tries to run away from Ripley when first found, and doesn’t seem to trust her or the other Marines for a good while. She doesn’t talk much at first, either. However, one of the best scenes of Aliens is after Ripley has killed the Queen Alien and Newt grabs a hold of her, throws her arms around Ripley’s neck, and calls her mommy. There should be no excuses if your characters do not learn and grow. Especially villains! I know, I know – villains don’t normally change much. Actually, they might grow or adapt quite often, we just don’t normally see it. Perhaps the PCs want to keep the villain alive, instead of just killing him outright. It might be for questioning or to torture him. He might not ever find out why. But he might think the characters have some sense of morality and begin to see them in a different light. He’ll still want to go through with his plans, but he might put out orders to not kill the characters, if possible. Your friendly NPCs should also grow and change. Like Newt, they’ll be influenced by events that happen around them and by their interactions with the PCs. The same goes for the players’ characters. Give them plenty of opportunities to learn and change. 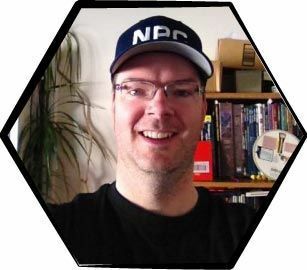 That is one of the main reasons we play roleplaying games: to play a character and live out that life – to grow and change as a result of their adventures. And not always for the better! Give your players incentive to roleplay their character to a great extent. Perhaps you might give them extra experience points (if offered in your game system). Perhaps you hand out more gold or treasure. However you decide to do it, it is very important to help the players’ characters grow and change. Live and learn, one might say. You have a big responsibility to make sure players have lots of fun during game sessions. Sometimes, ideas can be hard to come by, especially if you lead a busy life, or, if like me, you frequently are lacking sleep and mental energy. Always remember, a great way to get ideas is to watch movies. Pay close attention to the movie, the plot and the characters, the setting and atmosphere. Learn to grab ideas from these movies. In the case of the Alien series, the lessons we learn are to use isolation, new monsters, big monster consequences and character evolution for great gaming. Make the villain invulnerable until the PCs get a specific item that’ll negate his invulnerability so they can kill him. Never let the PCs actually encounter the villain. Keep him off-camera until the final climactic showdown. Until then, they only meet his agents. “The arch villain works from the shadows. The PCs never encounter him directly and he’s always at least three steps ahead of them. Any agents they do encounter might have information that can bring them a step closer to the arch villain. But only if the PCs leave an agent alive to tell them of it. “If the PCs anger the arch villain then once he’s lost a few groups of henchmen to them he’ll stop attacking them directly. He’ll set them up as above, he’ll destroy their base of operations while they’re away, murder their friends, allies and families, have the MacGuffin snatched out from under their noses. He’ll have every hand in the land turned against them and, when he finally defeats them he’ll be the hero and they the villains. I got a chill down my spine reading that response. In the same conversation, people offered tips on how to get your players to stop killing every monster in the room. Having to pay for a few resurrections would certainly get them to start considering the opposition before drawing swords. Good point. If you only reward the killing, then that’s all they’re going to do. Give them the same XP for negotiating their way out of a battle or sneaking around the orcs’ camp. They overcame the challenge, so reward them. The other popular tip was to engage the PCs as bounty hunters. Have someone send them out to capture a target who has to be brought back ALIVE. This can lead to further hijinks where they encounter a threat that puts their bounty in danger and now they have to protect him while fighting off the threat. With regards to the Eating Monsters column: In the game computer game NetHack, eating various monsters have a chance of imbuing a character with intrinsic abilities. Not all of these are necessarily good. Eating a rust monster might make that character rust metal they touch, or eating a white dragon might either make them immune to cold or grant them a breath weapon attack (but watch out when you drink alcohol in the tavern and burp a cone of cold all over the barmaid). There’s a certain unpredictability with each monster-meal, and many monsters are also poisonous. Finally, eat the wrong monster and you can easily “turn off” an ability you had gotten from a previous meal. This reminds me of the campaign you did when magic came from a certain mineral, except now characters derive it from natural monsters, eating them to gain abilities. There are just as many possibilities from hunting down certain monsters (and then those monsters going extinct and the magic-users in society throwing a fit at whomever killed the last Manticore), anti-magic monster preservation leagues, finding out how to put the magical power in monsters into items, etc. “How do you come up with the long-past history of a fantasy world? Are there any good resources for determining certain events? For instance, how long would it take for a large group (say, the population of a town) to explore a new land and start to make new settlements? How long would it take for a group of keep filled with dwarves to build a building like Notre Dame Cathedral? How about for humans to do such a thing? “Start with what you want at the end (or current timeline PCs are most likely to play in) then go back in time. History’s very important for world building, but it’s nothing but GM masturbation compared to how interesting the current times should be to actually play in (unless it’s a purely intellectual challenge of course!). After that, there are so many factors here….is there magic, if so how common? What are dwarves in your world? Who knows, they could be seafarers. There are litteraly thousands of crazy detailed sites from historian out there about this. So the consensus is to extrapolate your game-world history from real-world information and details, and color it with appropriate fantasy world trappings. For filling in the blanks, Dave Sherohman pointed to group collaboration. “If you’re open to player involvement in the history (as opposed to having a clear enough vision that you want to do it all yourself), I’d strongly recommend giving Microscope a try. Essentially, you start by making lists of things that definitely are or are not a part of the history and defining where it starts and ends, then take turns defining themes and everyone inserts eras, events, or scenes into the history related to each theme. “The further back in time you go, the fuzzier the details get of events that took place. Depending on oral or written traditions, who won the war and what the impact of the event was, details get changed, heroes get added or deleted, and whole outcomes might be skewed. History, as taught, is a pack of lies. So ancient history could even be false but still drive current events. The dark cowled figure whose face is the skull of a crow. A drowned woman who speaks inscrutable dooms. The moth like figure who flits between the dark spires and whose prophecies leave the recipient catatonic and irredeemably insane. A pale, bald, fat (Kingpin fat) man with needle teeth and four arms. He wears a bloody apron and carries two cleavers and a pair of carving knives. A dark haired woman who is seen to be washing your bloody clothes in a stream. A pot breaks. Then they all break. A face is reflected in a mirror or pool. It has no eyes. The shadows form a horned, fanged face. It speaks your name. It is gone. You tip back your drinking vessel and snakes pour forth. Or worms. Or millipedes. As you prefer. You see a person you are sure you know but they deny you three times. A little girl whose eyes have been recently gouged out beckons to you but when you look back she is no longer there. There is a well. It is dark beyond black. From within you can hear the echoes of gentle sobbing. There is an urgent knocking at the door. There is no one there. When you close it, it starts again. An old man falls in the street. He wails. If anyone touches him, he turns to ash. A weasel crosses your path and stops to stare at you with malevolent eyes. If approached it becomes a snakes and vanishes into the nearest hole. You see cats. They’re in alleys. On rooftops. In the windows of shops. They’re watching you.